Volume-bug-free Samsung Galaxy Nexus coming next week? Samsung will reportedly be providing new, volume-bug-free Galaxy Nexus handsets next week. 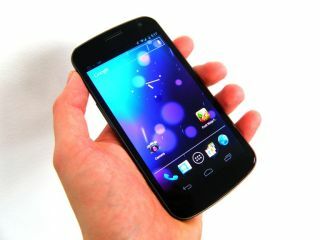 An Irish pre-order customer told SlashGear that the retailer he ordered the Galaxy Nexus from won't have the new handsets until next week. "The latest update is that Samsung is bringing new stock into Ireland and that it won't be in until next week," he said, relating what the retailer told him. Google and Samsung both confirmed that the handset suffers from a weird glitch that sees the volume randomly mute and jump when on 2G yesterday, and had frozen shipments to retailers as a result. The two tech giants stressed that the problem is with the phone's software so existing Galaxy Nexus owners should see a software update to patch the problem coming soon too. But it's possible that you have a Galaxy Nexus and haven't suffered this volume-jump issue – we didn't come across it in our in-depth Samsung Galaxy Nexus review, for example.